Too often, moms feel like they fall short. In this world of social media sharing, we always see the Pinterest perfect birthday party decorations, perfect family pictures, and the excitement of everything going right. Mother's Day is just around the corner and this mini-blog series will celebrate the reality of mommyhood - sometimes we mess up. But we live, we learn, and we move on. 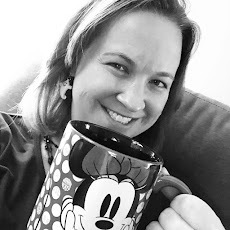 I'm sharing some of my Disney mom fails so that you can hopefully benefit from my experiences. Sometimes there is nothing that would have prevented these mom fails, but hopefully we can share a sense of camaraderie that we are in this crazy thing called parenting together and nobody is always Pinterest perfect. Being a Disney addict can be both a blessing and a curse when it comes to planning our family vacations. The desire to want to experience new attractions while still making time for our favorites can lead to a serious Disney condition known as "over-planning." 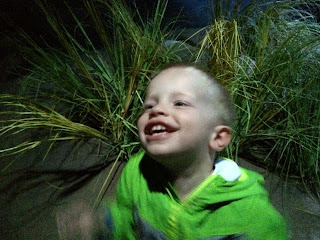 I try to cognizant of the limits of little ones when planning our trips, but sometimes I try to push the limits too much which can lead to a definite mom fail in the parks. On our trip in November, I REALLY wanted to use all of our FastPass+ reservations that we had booked and rebooked numerous times over. And the selfish part of me, really wanted to see the new Festival of Fantasy parade and, my all-time favorite, Wishes Nighttime Spectacular. How bad would it be to push through my toddler's nap time and then try to keep him up late at night? Pretty bad. Brody entered full meltdown mode around 2PM so we headed back to the resort for a mid-day break. While I was sad to miss the parade, I felt good that this probably would mean we'd be able to stay up for Wishes. Well, we made it back to the park and were awake for Wishes. However, it wasn't very enjoyable with a miserable and whiny 2-year-old who was surviving solely on sugar rushes at this point. Keep little ones smiling and happy by remembering their limits and the importance of taking breaks! The lesson from this mom fail? Respect your little traveler. As I watched my 2 year old melting down inside Be Our Guest restaurant and later in the day next to Dumbo, I couldn't help but feel responsible. The comforting thing is that while I felt like a total failure, I found parents walking by offering sympathetic smiles as if to say "we've all been there." And don't forget, there are some great places in the parks to take a quick break too! The Baby Care Centers in each park provide an air conditioned oasis featuring chairs, changing tables, and a TV. Just remember that the excitement of Disney can be overwhelming and overstimulating to young travelers - take it easy and enjoy the magic of the trip!